If I could go back and tell my first time home buyer self one thing, it would be don't go with any of the builder's upgrades! 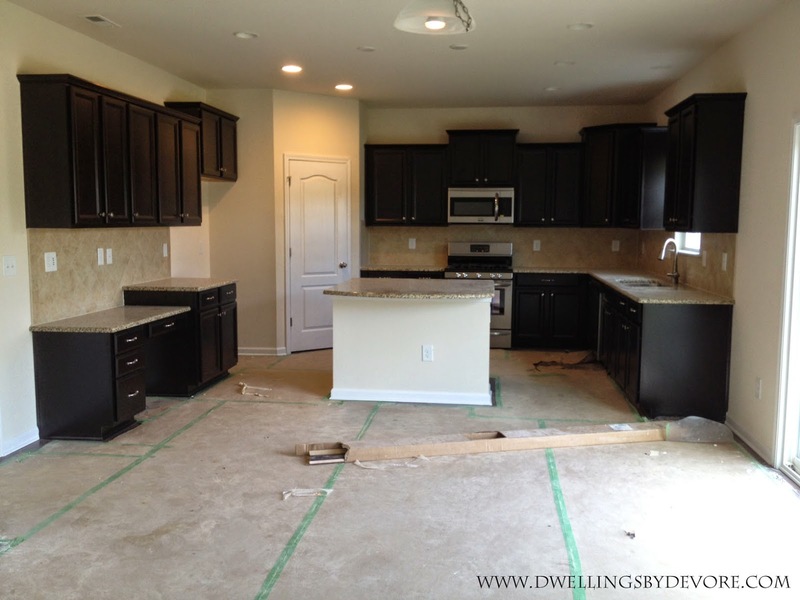 Our first home was a new construction home that was almost complete when we bought it. We had a little time to upgrade a few things, but most of the finishes were already picked. 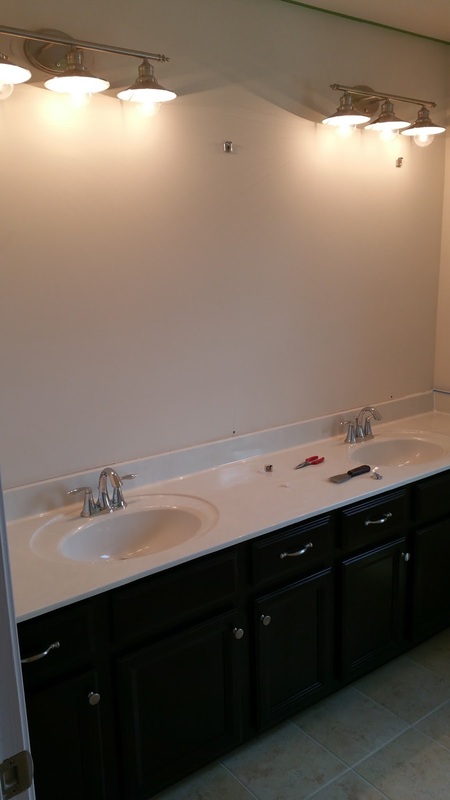 Although I would have preferred a different color countertop and cabinet color most of the things were neutral so we were ok with that. We did decide to make a few minor upgrades, but nothing major. Looking back I wouldn't have chosen any of the upgrades for a few different reasons. Typically you pay more for the upgrades than it would be to hire them out down the road and you're also mortgaging them versus just paying out of pocket. Also, most of the time the options for the upgrades aren't the best, unless you are buying on the higher end side. 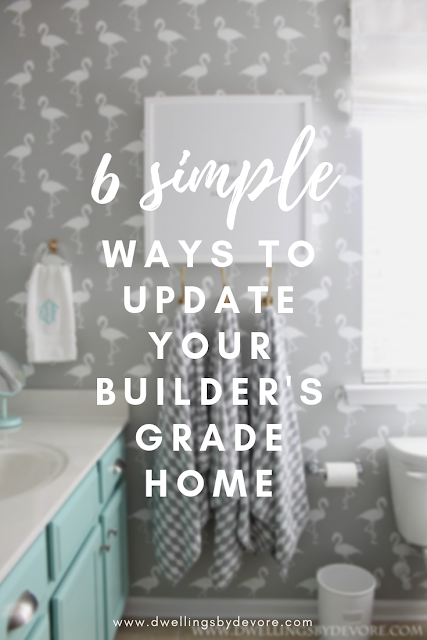 So instead of choosing the builder's upgrades, I would do these simple things to create a home that stands out amongst all the others in your neighborhood. And the great things is, these ideas don't just apply to a new home, they can make any home feel more custom. Paint is your best friend when it comes to transforming a home. It's definitely one of the biggest bangs for your buck and anyone can do it! If you aren't sure what colors to pick, look on Pinterest and get some ideas of colors that appeal to you. When I'm choosing a color, I always like to do a google image search of that color first to see what it looks like in different homes with different lighting. Just google the color and then click on the images tab at the top. I also like to get paint samples just to be on the safe side. It's worth the few extra dollars in my opinion. It can look so different on the walls vs. that tiny little chip. 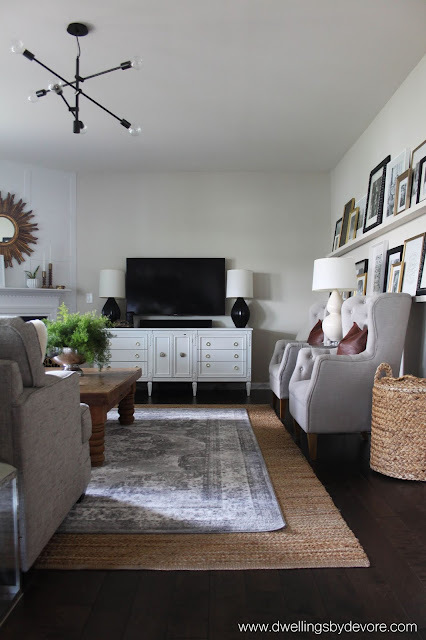 See more of our living room here. 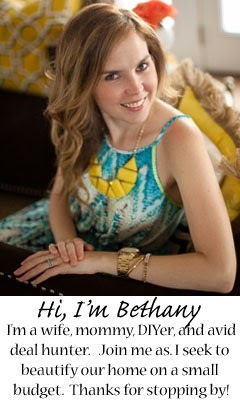 Don't be afraid to go with a bold color choice if you love it! It's just paint and can easily be changed if you change your mind down the road. 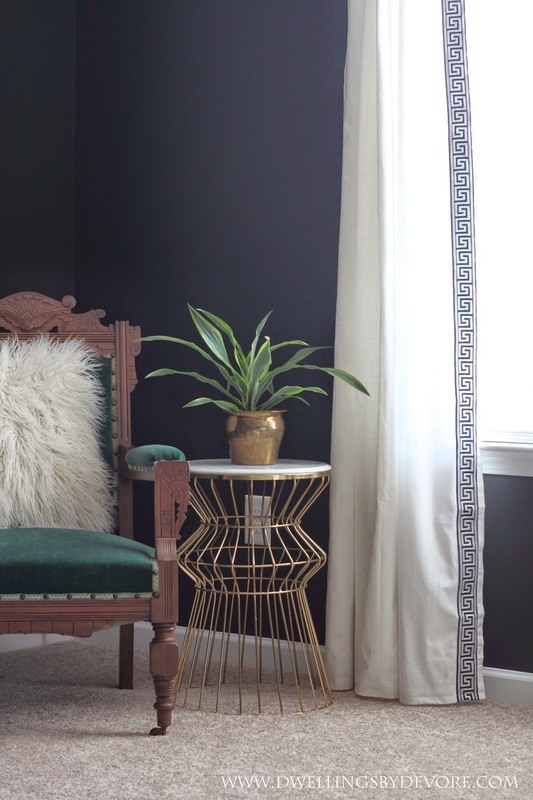 See more of our bedroom makeover here. I know the thought of painting your cabinets can seem overwhelming, but it makes such a difference! And you can always hire out if your budget allows. You can see more of our kitchen makeover here along with my painting process. And if the thought of painting your kitchen cabinets is daunting, start with a smaller space like a bathroom. 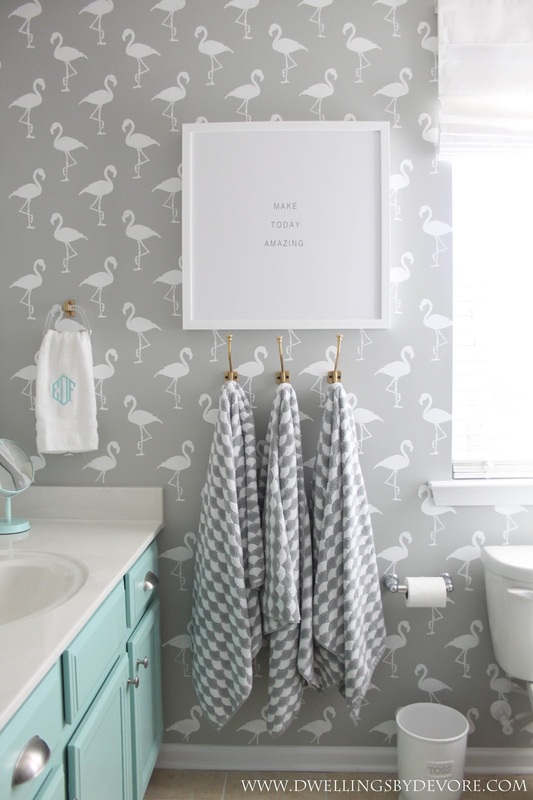 You can see more of this bathroom makeover here. 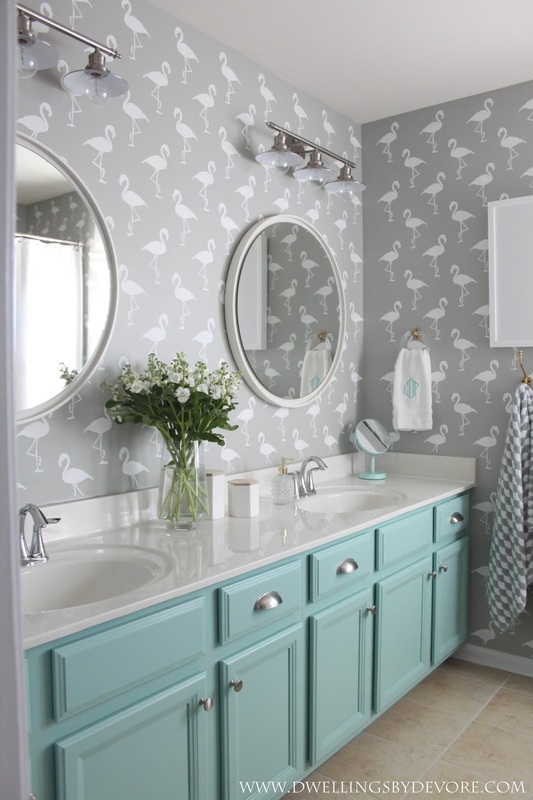 You can see more of this bathroom from our first house here. 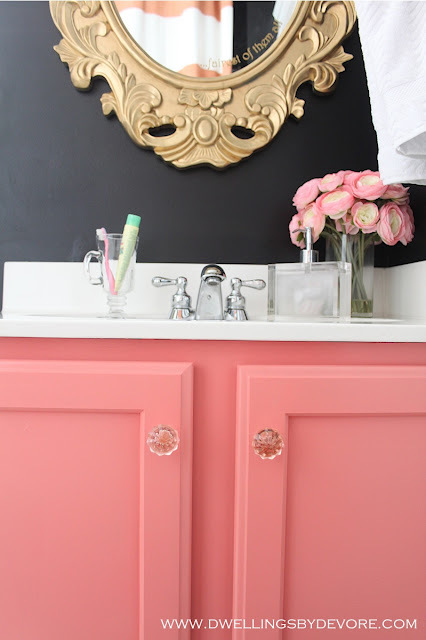 And if you aren't up for painting your cabinets this is a great post for making your current color work. Changing out your drawer pulls makes such a difference too! We kept the knobs in our kitchen to cut down the cost and switched out just the handles. Just measure the distance between the holes for the handles and look for ones with the same measurement. My mom taught me how to change out a light fixture several years ago, and it's come in handy more times than I can count. If you don't know how to do it you can find several youtube tutorials. If you've never done it before, you won't believe how simple it is! 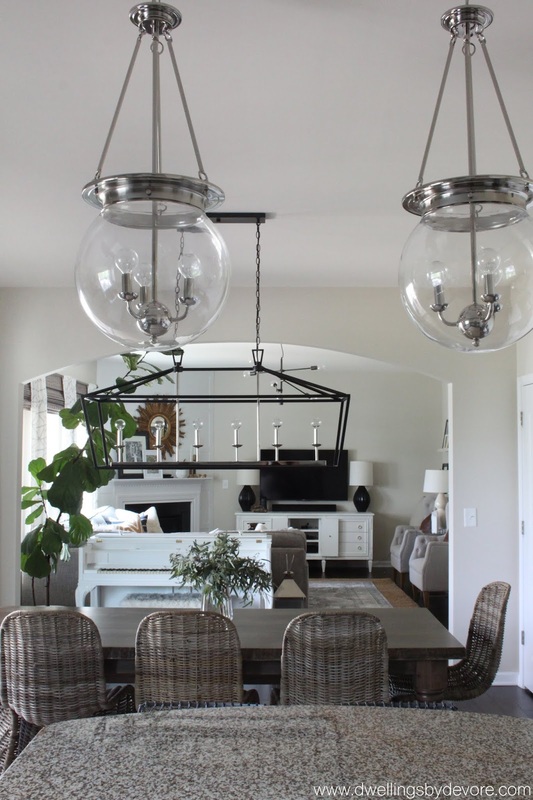 You can find more info on these light fixtures here. Towel bars are definitely functional, but if you want a more custom look it's easy to switch them out and it's pretty inexpensive too. I prefer using hooks in a bathroom because it's easier for the kids to hang their towels on them. 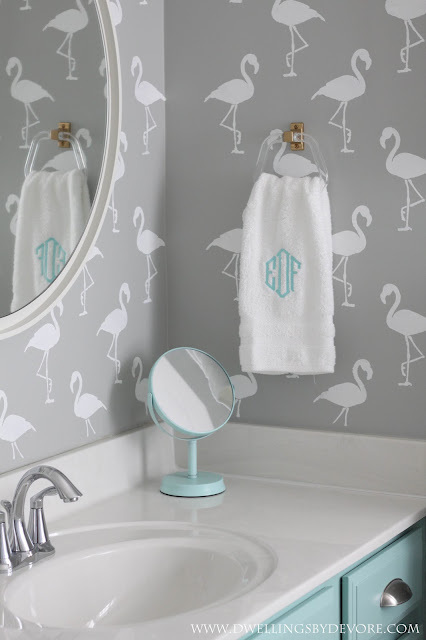 These DIY lucite towel rings are a favorite of mine and they are super inexpensive! You can find more info on this room here. We also took down the towel bar above our bathtub and replaced it with some pretty art. We rarely use the bathtub and so the towel bar wasn't functional for us. I'm amazed at how much better it looks without it. Just because the builder put it there doesn't mean you have to keep it there! 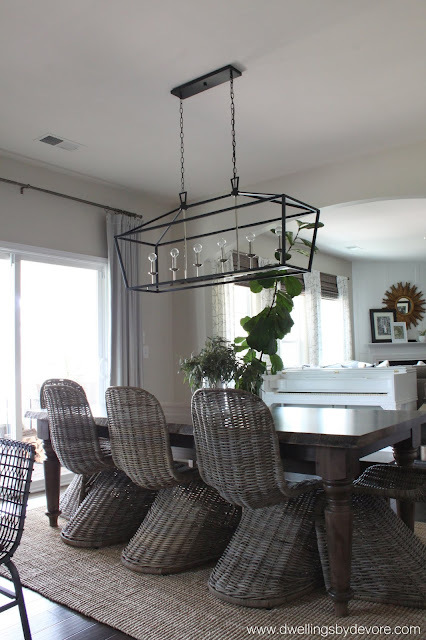 Hanging curtains always makes a room feel more finished and can even make the room feel bigger. I like to hang mine high and wide. I usually go about six inches to the side of the window and I only use panels that are at least 95" in length. Sadly most of the stores still only carry the 84" length but you can find lots of great longer options here. You can find these DIY curtains here. And if your windows are on the small side or you just want to make them look bigger, you can use this trick. What are your favorite, simple ways to update your home?